Pacific Integrated Logistics (Thailand) company Ltd is a wholly owned subsidiary of Pacific Logistics Group (PLG) founded in Singapore in year 2000. 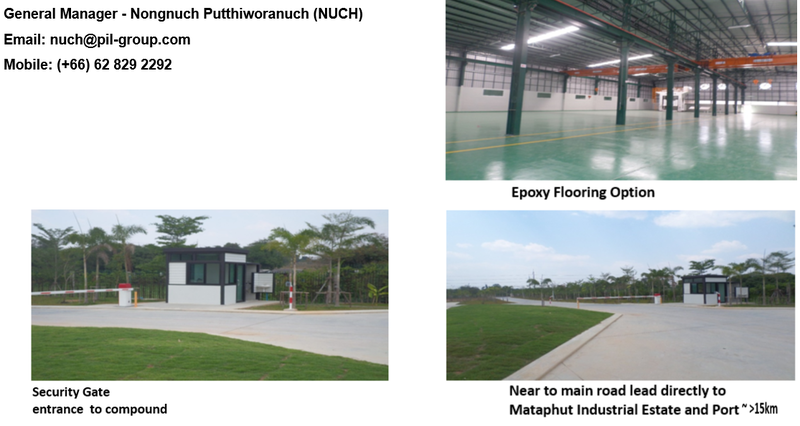 Located in Nikom, Pattana, Rayong nearby Oil and Gas Industries of Mataphut Industrial Estate, PLG (Thailand) is an approved International Distribution Centre under Board of Investment (BOI) provides extensive domestic an international freight forwarding operations, which includes project shipments for both inbound & Outbound. 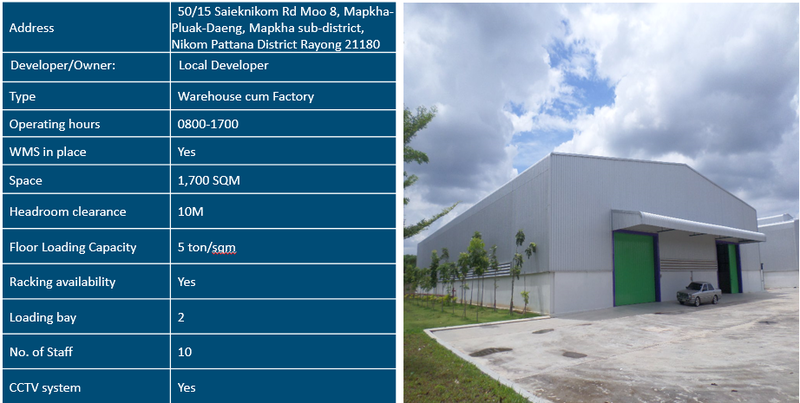 PLG (Thailand) provides warehousing, vendor Inventory management (VMI), Inland nation-wide distribution and Cross-border trucking within the Mekong regions. With cloud based WMS and EDI integration platform, PLG (Thailand) enhanced operation lead time, optimize inventory levels and minimize shipping errors for its customers. In addition, PLG (Thailand) also undertake wooden case packing for project shipment oversized cargoes and heavy weight industrial machinery. Additionally, PLG (Thailand) provides support to Oil and Gas Industries in cleaning, sand blasting, painting, and specialised work in welding stainless steel oil valves and pipes. The supply chain capability of PLG (Thailand) provides our customers with benefit of an Integrated solutions with an enhanced visibility, with reduced lead time and cost efficiency.